Now is the time I determine the ending for each person, not the stage at which I began to work man. I write down in My record book, one by one, the words and actions of each person, as well as their path in following Me, their inherent characteristics, and their final performance. In this way, no manner of man shall escape My hand and all shall be with their own kind as I assign. I decide the destination of each person not on the basis of age, seniority, amount of suffering, and least of all, the degree to which they invite pity, but according to whether they possess the truth. There is no other choice but this. You must realize that all those who do not follow the will of God will be punished. This is an immutable fact. Therefore, all those who are punished are so punished for the righteousness of God and as retribution for their numerous evil acts. Before humanity enters into rest, whether each kind of person is punished or rewarded will be determined according to whether they seek the truth, whether they know God, whether they can obey the visible God. Those who have rendered service to the visible God yet do not know or obey Him lack truth. These people are evildoers, and evildoers will undoubtedly be punished; furthermore, they shall be punished according to their wicked conduct. God is for man to believe in, and He is also worthy of man’s obedience. Those who only believe in the vague and invisible God are those who do not believe in God; furthermore, they are unable to obey God. If these people still cannot believe in the visible God by the time His work of conquering is finished, and also persist in being disobedient to and resisting the God who is visible in the flesh, these vagueists will, without a doubt, be destroyed. It is as it is with those among you—anyone who verbally recognizes God incarnate yet cannot practice the truth of obedience to God incarnate will ultimately be eliminated and destroyed, and anyone who verbally recognizes the visible God and also eats and drinks of the truth expressed by the visible God yet seeks after the vague and invisible God will all the more be destroyed in the future. None of these people can remain until the time of rest after God’s work has finished; there can be no one like these people who remain until the time of rest. The demonic people are those who do not practice the truth; their essence is one of resisting and being disobedient to God, and they do not have the slightest intentions of obeying God. Such people will all be destroyed. In God’s work of the last days, He determines people’s outcomes by their performance, but what performance is this? Do you know? You might think that this refers to people’s corrupt disposition expressing itself in their work, but that is not actually what this means. This performance refers to whether or not you are able to put the truth into practice and whether or not you are able to stay loyal while performing your duty, as well as your perspective on believing in God, your attitude toward God, your resolve to suffer hardships, your attitude toward accepting judgment and pruning, your level of transformation and the number of your serious transgressions. All of these contribute to your performance. This performance does not refer to the maximum extent of revealing your corrupt disposition, but rather how much you have achieved in your belief in God. I have sought many on earth to be My followers. Among all these followers, there are those who serve as priests, those who lead, those who form the sons, those who constitute the people, and those who do service. I divide them into these different categories based on the loyalty they show to Me. When all men have been classified according to their kind, that is, when the nature of each kind of man has been revealed, then I shall number each man among their rightful kind and put each kind into their fitting place so that I may realize My aim of salvation for mankind. God uses trials to establish the outcome of man. There are two standards for using trials to establish man’s outcome: The first is the number of trials that people undergo, and the second is the people’s result in these trials. It is these two indicators that establish man’s outcome. When God wants to obtain someone’s heart, He will give them numerous trials. During these trials, if God does not obtain this person’s heart, nor does He see that this person has any attitude—that is to say He doesn’t see that this person goes about things or behaves in a way that fears God, and He doesn’t see an attitude and resolution that shuns evil from this person. If this is how it is, then after numerous trials, God’s patience toward this individual will be withdrawn, and He will not tolerate this person anymore. He will no longer give trials to them, and He will no longer work on them. Then what is this person’s outcome? It means that they will have no outcome. It’s possible that this person has done no evil. It’s also possible that they have done nothing to disrupt or disturb. It’s also possible they have not openly resisted God. However, this person’s heart is hidden from God. 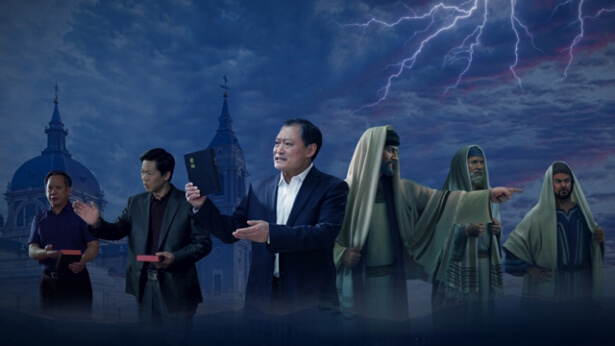 They have never had a clear attitude and viewpoint toward God, and God cannot clearly see that their heart has been given to Him, and He can’t clearly see that this person is seeking to fear God and shun evil. God no longer has patience for these people, He will no longer pay any price, He will no longer extend mercy, and He will no longer work on them. The life of this person’s belief in God is already over. This is because in all of the many trials that God has given this person, God has not obtained the result He wants. There’s a saying you should take notes of. I believe this saying is very important, because for Me it comes to mind countless times every single day. Why is that? Because every time I’m faced with someone, every time I hear someone’s story, every time I hear of someone’s experience or their testimony of believing in God, I always use this saying to weigh whether or not this individual is the type of person God wants, the type of person God likes. So what’s this saying, then? … It’s “walk in God’s way: fear God and shun evil.” Is this not an exceedingly simple phrase? Yet though the saying may be simple, someone who genuinely has a deep understanding of it will feel that it’s of great weight; that it has a lot of value for practice; that it’s language of life with the reality of the truth; that it’s a lifelong objective to strive toward for those seeking to satisfy God; and that it’s a lifelong way to be followed by anyone who’s considerate of God’s intentions. … Why do I discuss this saying? Regardless of your perspective, or what you will think, I have to discuss this saying because it is extremely relevant to how God establishes the outcomes of man. No matter what your current understanding of this saying is, or how you treat it, I’m still going to tell you: If someone can properly practice this saying and achieve the standard of fearing God and shunning evil, then they’re assured as a survivor, then they’re assured as someone with a good outcome. If you can’t attain the standard laid out by this saying, then it could be said that your outcome is an unknown. Thus I speak to you about this saying for your own mental preparation, and so that you know what kind of standard God uses to measure you. Every person’s essence decides whether they will be destroyed; this is determined according to the essence revealed by their conduct and their pursuit of the truth. Among people who similarly do work and also do similar amounts of work, those whose human essences are good and who possess truth are the people who can remain, but those whose human essences are evil and who disobey the visible God are those who shall be destroyed. Any of God’s work or words directed at humanity’s destination deals with humanity appropriately according to each person’s essence; there will be no accidents, and there will certainly not be the slightest error. Only when a person carries out work will human emotion or meaning be mixed in. The work God does is the most suitable; He absolutely will not bring false claims against any creature. Previous：What people does God save? What people does He eliminate? Next：What are God’s people? What are the service-doers? What the work of judgment brings about is man’s understanding of the true face of God and the truth about his own rebelliousness. 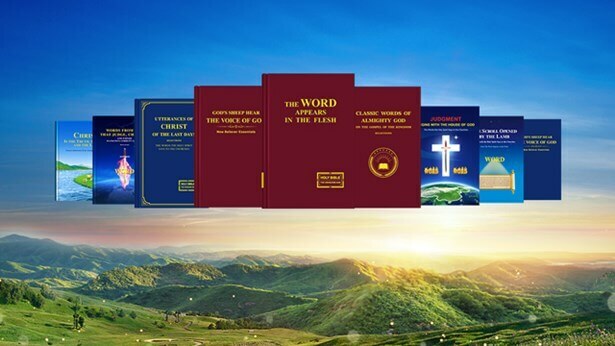 The work of judgment allows man to gain much understanding of the will of God, ...All the work done this day is so that man can be made clean and be changed; ... man can cast away his corruption and be made pure. Rather than deeming this stage of work to be that of salvation, it would be more apt to say it is the work of purification. If they encounter those who preach the true way, some of them would say, “We have to consult him about our belief in God.” See how they require someone’s consent to believe in God; is that not a problem? What have those leaders become, then? Have they not become Pharisees, false shepherds, antichrists, and stumbling blocks to people’s acceptance of the true way? This kind of people belong to the same kind as Paul.